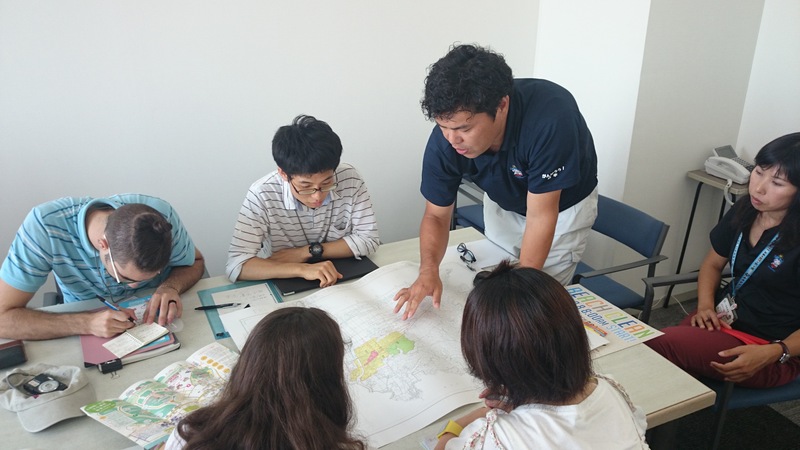 On Wednesday (August 12), we returned to Ichinomiya for a more in-depth investigation of the town resources and current development issues. 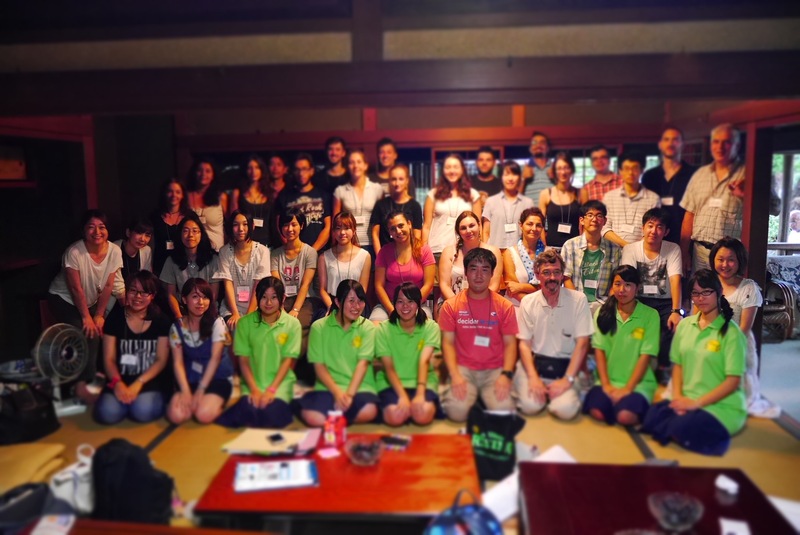 Students were split in six groups and equipped with a questionnaire originally written by Chiba University students during their pre-course education and later revised in consultation with the NPO Sasuga Ichinomiya. Each group visited a key area of the town and conducted interviews. 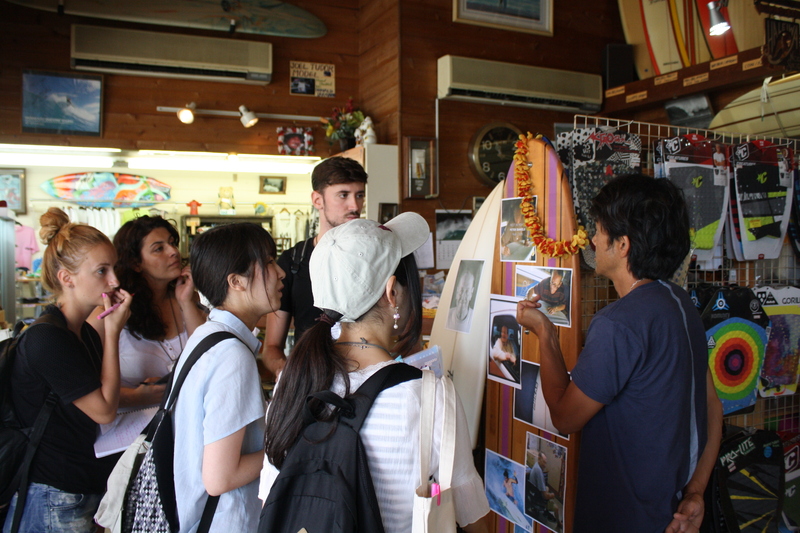 The areas visited were Tamasaki shrine and its surroundings, the souvenir shops in the old town, local pear and tomato farmers, several surf shops in the new part of the town, two key tourist establishments (the Hotel Ichinomiya seaside and Ichinomiya-kan), and, finally, the section of the town hall responsible for the revitalization plans of the town. 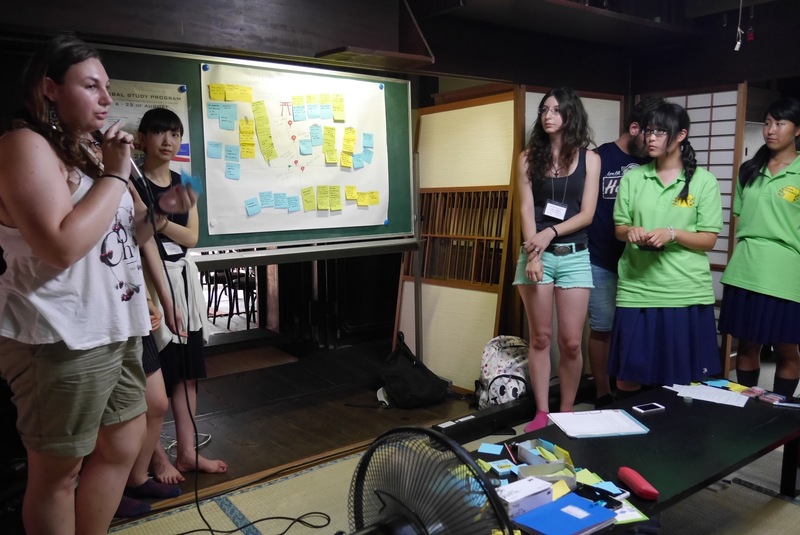 Following a brief lunch, students returned to Suya Honke for a brainstorming session in which they were asked to use a B1 size paper to present the results of their morning investigation and their ideas for furthering the development of Ichinomiya. 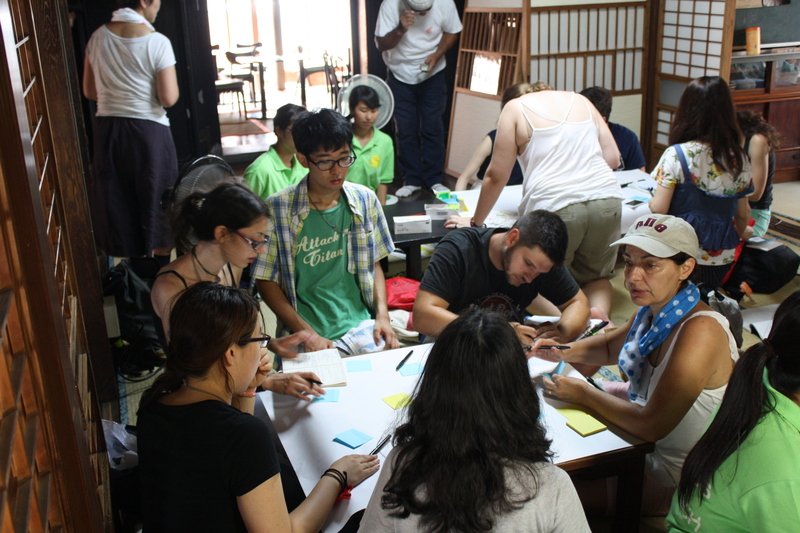 More than twenty ideas were devised in total by the six groups, each of which was given 10 minutes to present their most important ones in the presence of the mayor of the town, of town hall officials and of other stakeholders. 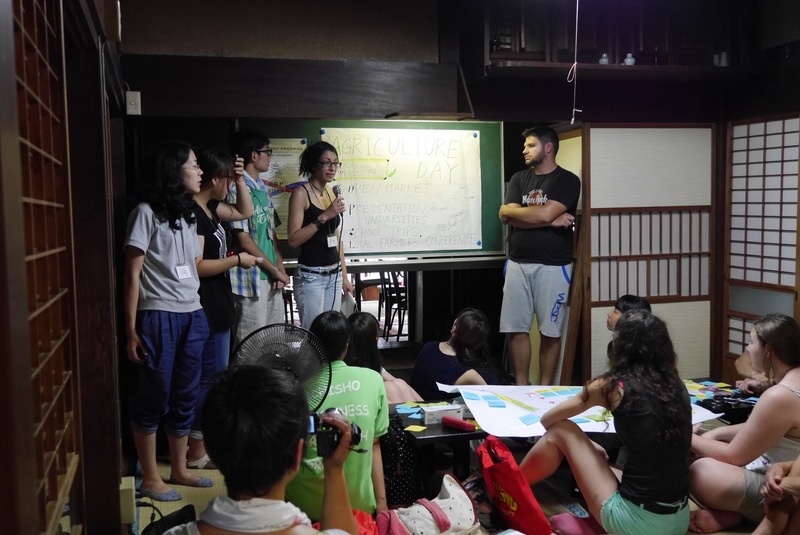 Ideas ranged from using abandoned farm houses to offer agricultural life experiences to short-term visitors, to organizing agricultural events in cooperation with local researchers and farmers, and even to developing a tram network. Student presentations were followed by a brief feedback session by two officials. 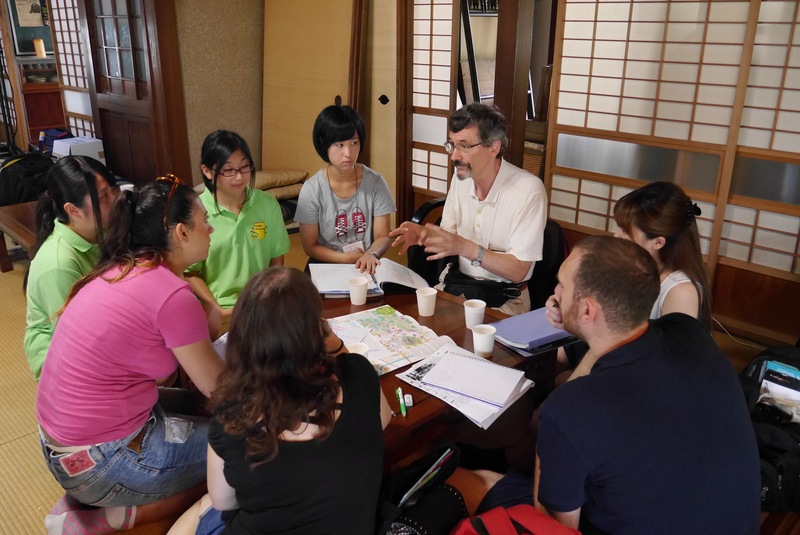 The experience at Ichinomiya was meant to offer to students the opportunity to see a development project in its infancy and learn from the difficulties they faced when conducting fieldwork, when working under time-pressure, and when receiving feedback.